Contact Steve Bird for details. The Aviva Community Fund contributes to causes by funding projects that will make a difference in the community. Get enough votes from friends, family and supporters , and our project could be entered into the Finals, where a judging panel will award the funds. 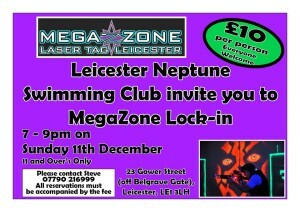 Please support Leicester Neptune Swimming Club by voting for our project. All it will cost you is a few moments of your time . Please click on the link below , registrar and vote for us for the chance to receive funding.